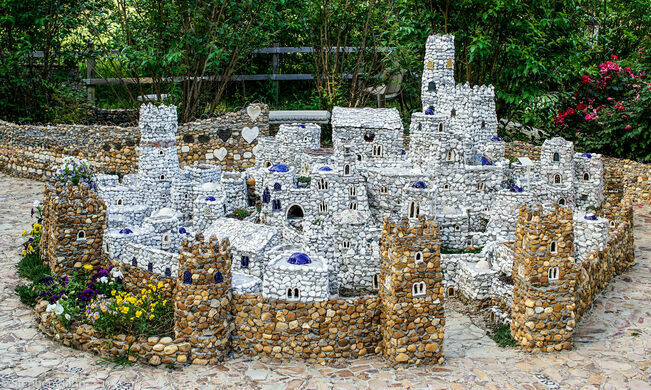 This wondrous rock garden tucked behind a church in Calhoun, Georgia, is full of miniature creations of iconic towns, castles, cathedrals, bridges, and even the Coliseum. 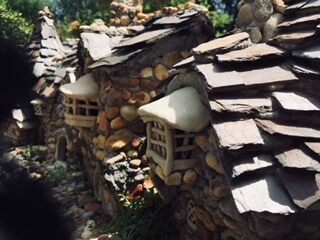 Home to more than 50 diminutive structures, the garden’s miniature replicas are crafted from tiny stones, shells, broken glass, wire, cement, and other craft materials. 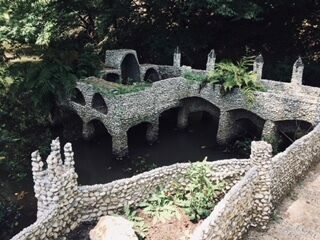 A stroll through the garden takes visitors to Paris’ Notre Dame Cathedral—complete with stained glass windows—to awe-inspiring castles constructed of pebbles and shells. 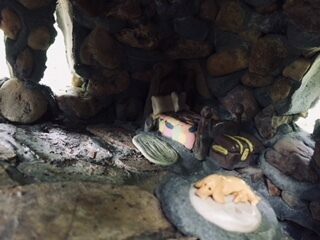 Porcelain people populate various rooms and nooks throughout the structures, while small porcelain animals dot the landscape. 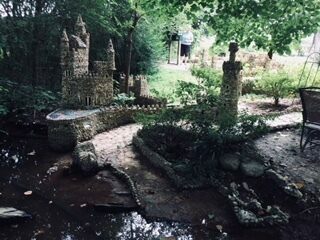 Today, the rock garden is a family endeavor and has been crafted by Boyd, his children, and their children. The free garden is located behind the Calhoun Seventh Day Adventist Church, and there are religious themes to some of the constructions. One of the towns represents Bethlehem; the Ten Commandments tablets are embedded, broken, in one of the walkways; and some other places have scriptures inscribed in walkways or walls. 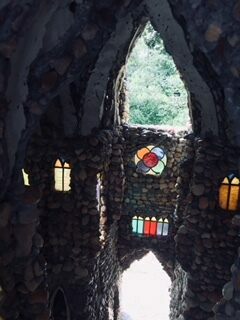 The Rock Garden can be found behind the Calhoun Seventh Day Adventist Church on 1411 Rome Road. The garden is free to enter and can be visited by the public Monday through Sunday, from 8 am to 7 pm. 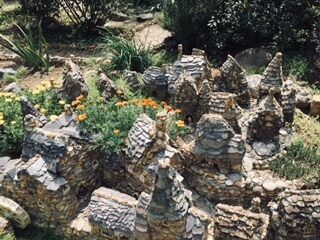 For more information, you can follow the Rock Garden on their Facebook page. One of the world's largest automobile junkyards is a unique landscape of metal and moss. 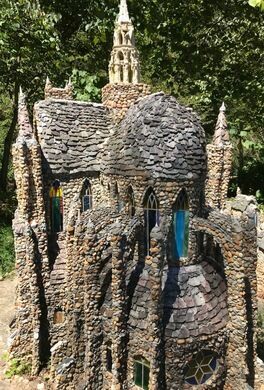 Quirky outsider art transforms this garden shop into a little stone fantasyland.